The last post I update on how I cleaning my makeup brush, there so many comment that said I clean my brush wrong, this supposed to like this and this and that..bla blaa blaaa.. Wahhh! Thank you guys for the advise. 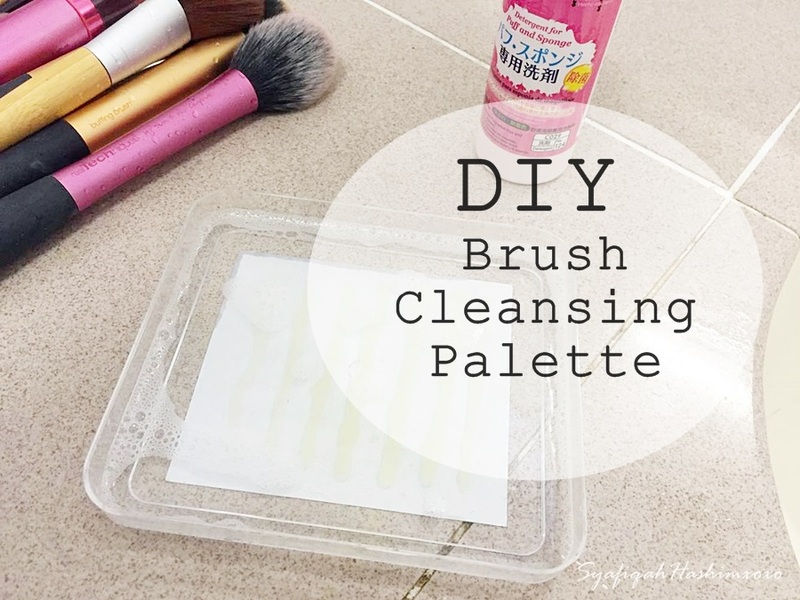 So, right now I'm updated my version of cleaning my makeup brushes by making my own brush cleansing palette. YEAYYY.. Hehehee.. I hope this will be helpful for so many girls out there. This is a very simple method that only requires less then 5 minutes to make it done. Semudah satu, dua, tiga gituu.. Ehehee..
Only simple equipment you need. Yahh! 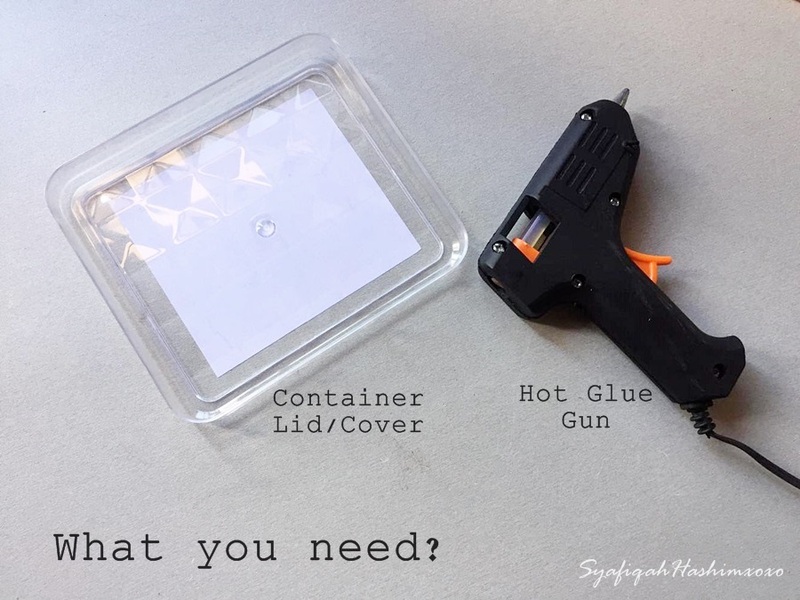 Why I used Container Lid/Cover?? Because it can hold water in it. Where it is not to much water nor less. You can easily make your cleaning process easier with no clumsy messy works done. After that, just let the hot glue gune dry and you have it! Your own personal brush cleansing palette. ***Another option you can choose is to find something or plate with texture in it. That works too but if you don't have it. 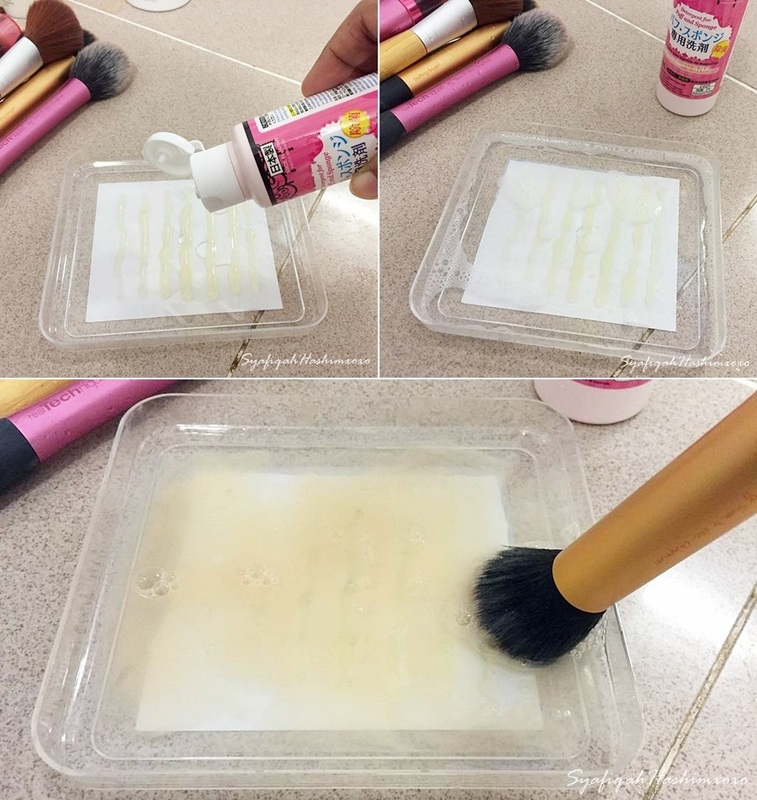 You can try this idea..
And now, I have new technique on how I clean my makeup brushes! I'm still using the Makeup Cleansing from Daiso and mix with water. Then, take my makeup brushes and using a circular motion around the texture kinda feel. This technique will not make your brushes to sit in water for a long time. This can ensure that the glue that holds the ferrule, the handle and the bristles not broken. You only need to clean the bristles part only. Get it?! By the way, this cleansing palette is easy to be keep as well. I normally keep it in my drawer and everytime I want to use it I just take it and get my makeup brushes clean! Thank you.. Ehee.. try taw.. Make it easier for you to clean your makeup brushes. Daiso punya tu elok eh Piqa? Elok sangattt.. murah and berkesan membersihkan berus makeup pika semua.. mlm ni nak cuci lagi ni.. Teehee..
Kann.. Mudah je. kos yang rendah tp hasil yang sama untuk bersihkan brush makeup.. ehehee..